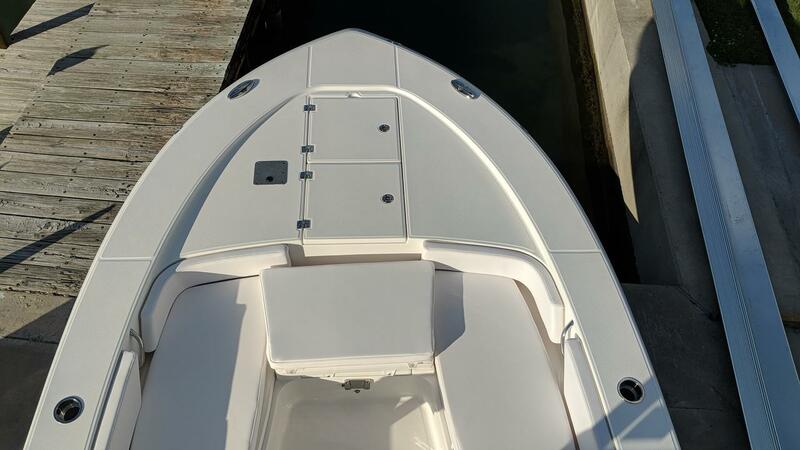 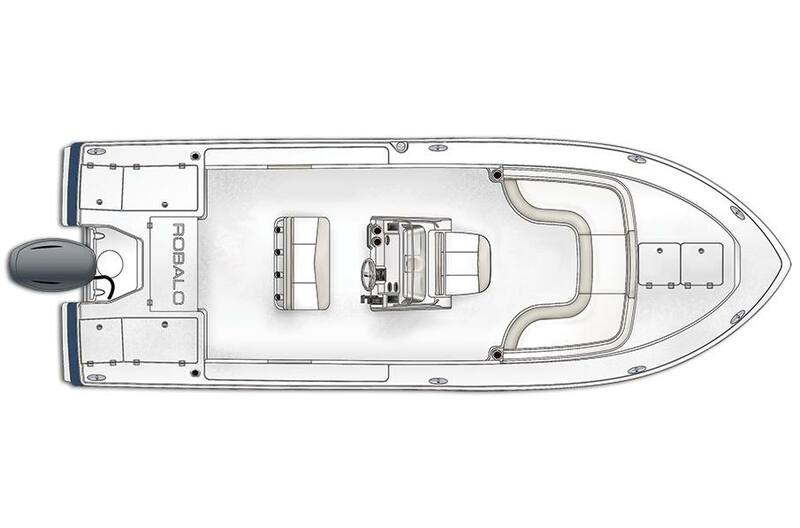 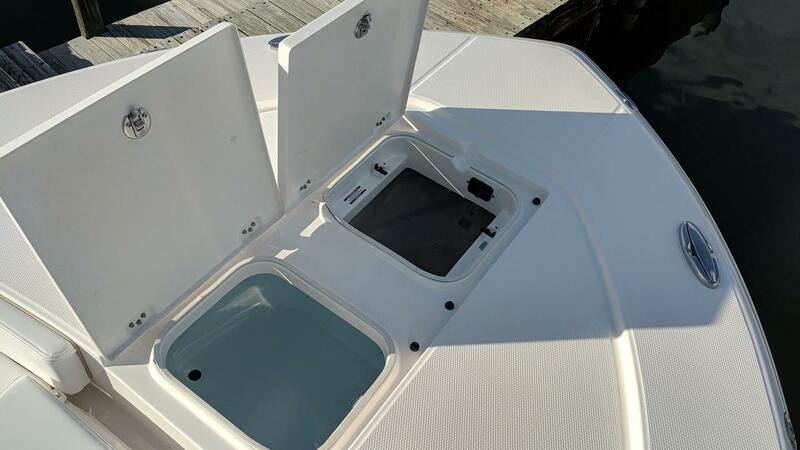 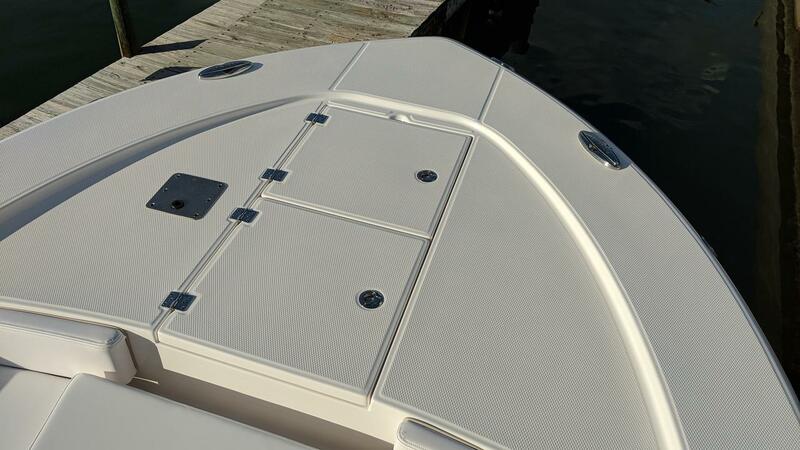 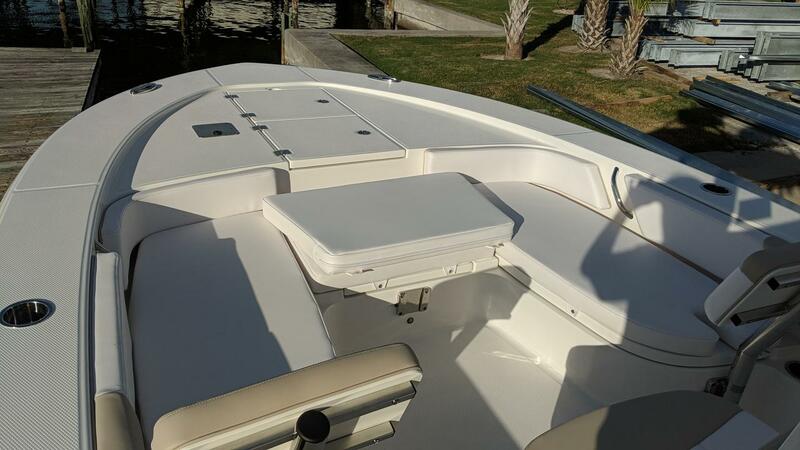 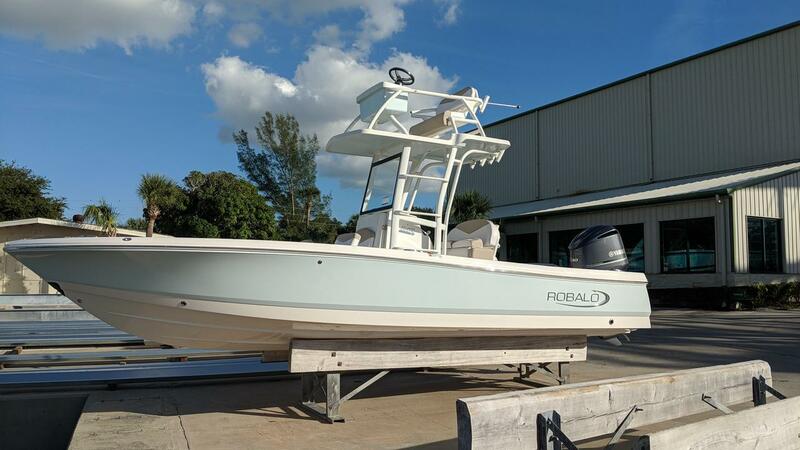 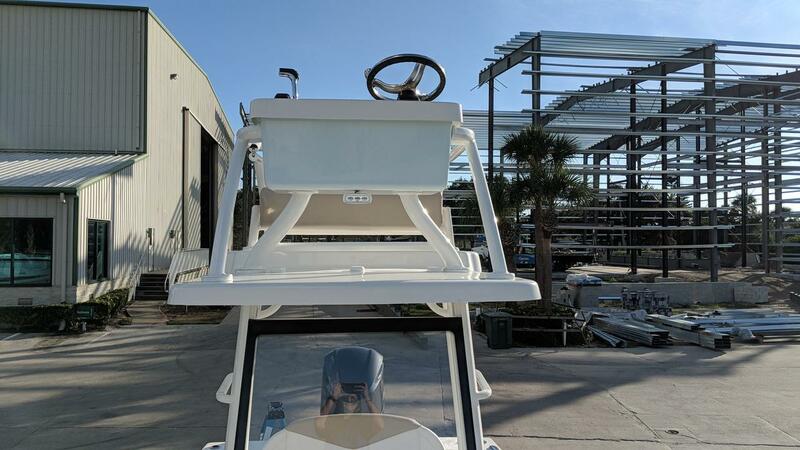 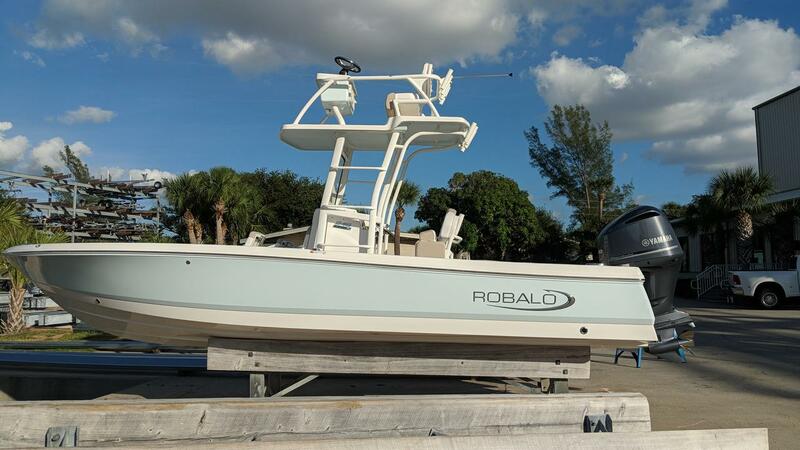 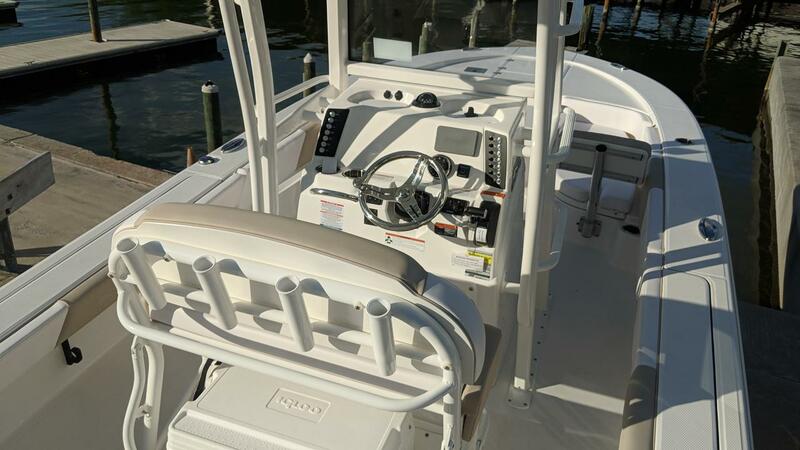 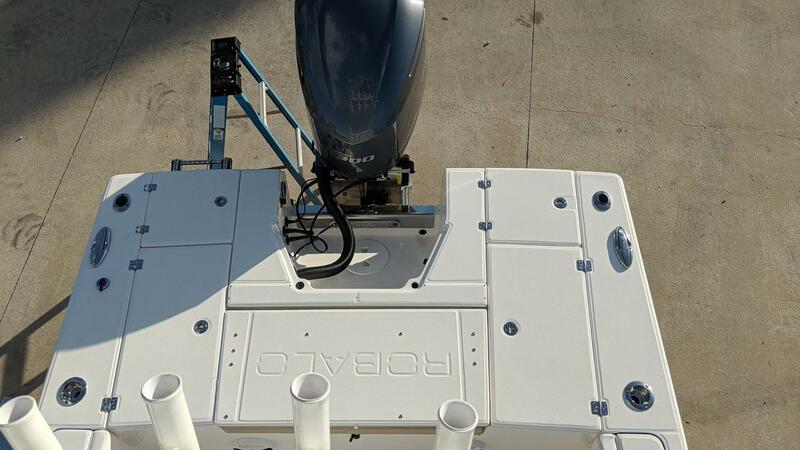 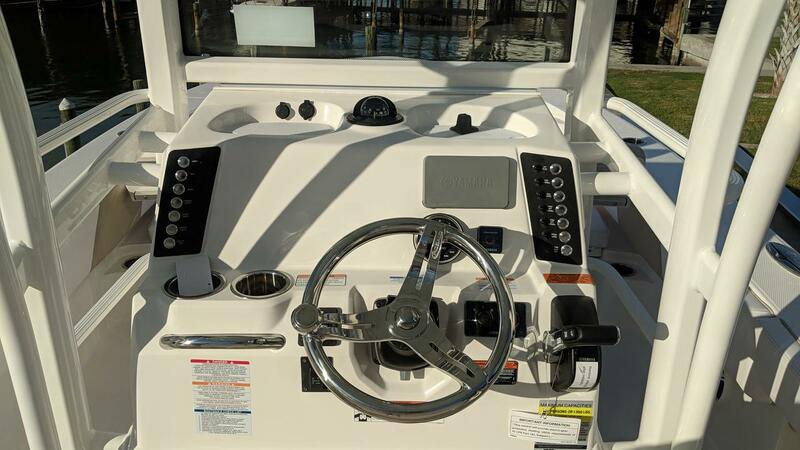 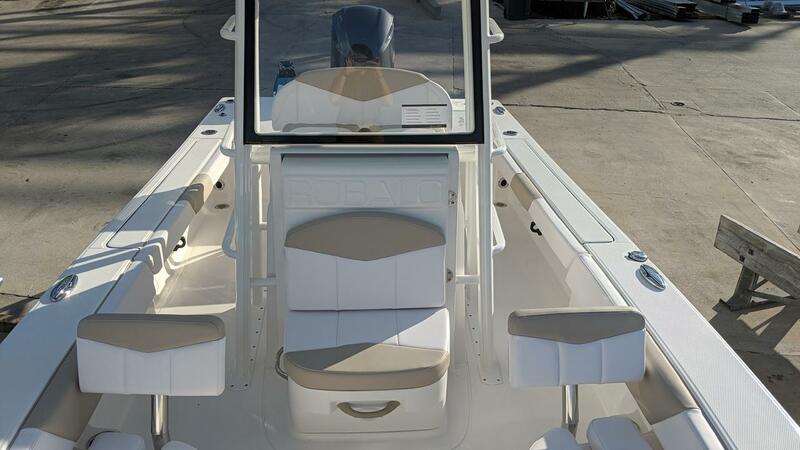 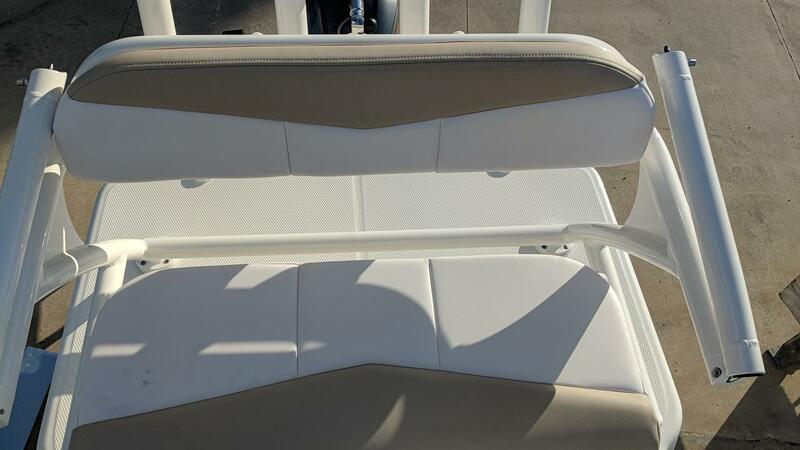 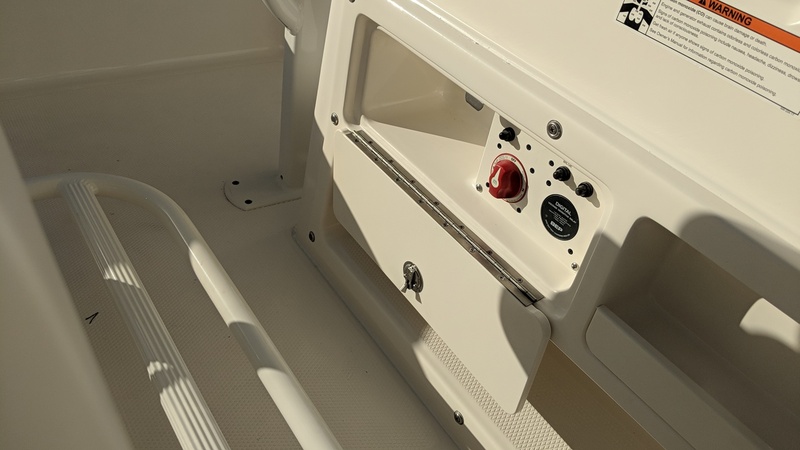 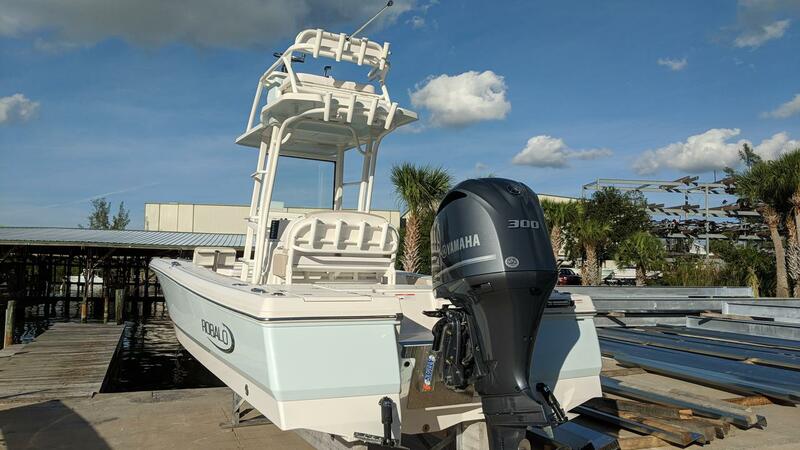 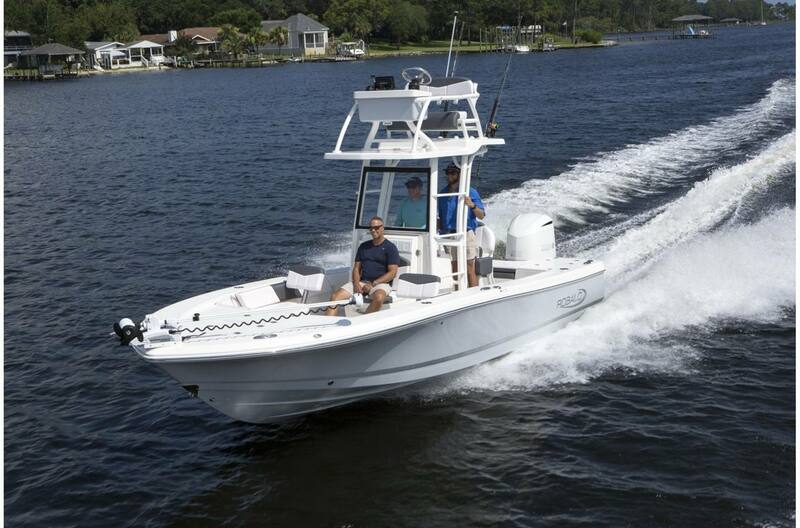 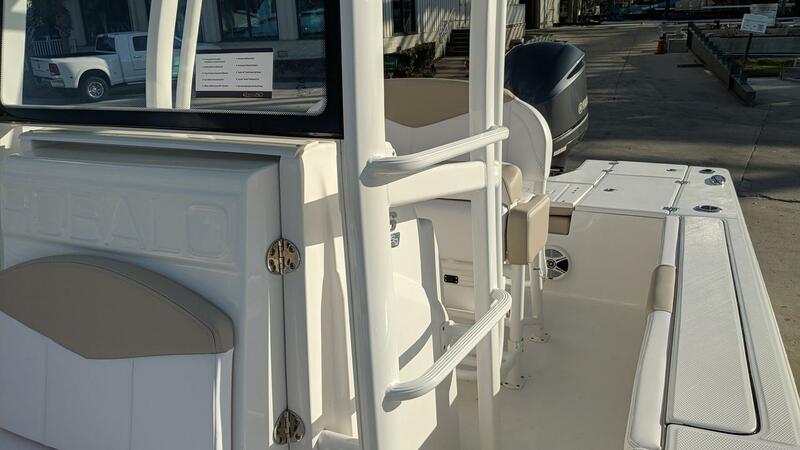 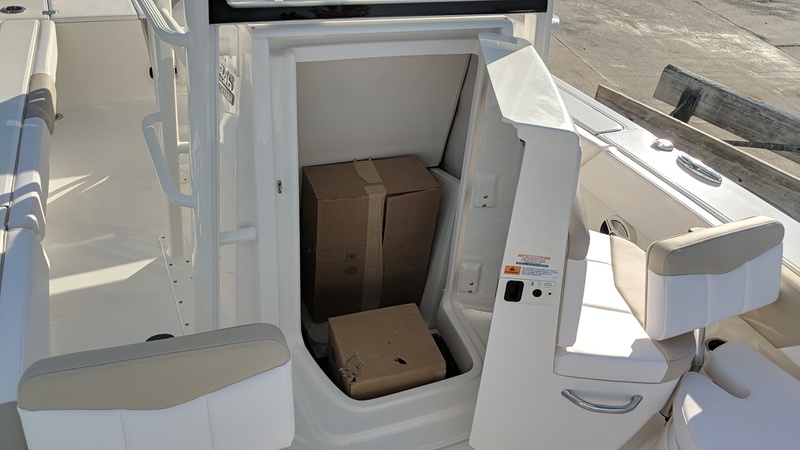 2019 Robalo R246 Cayman Sky Deck, powered by Yamaha F300 XCA. 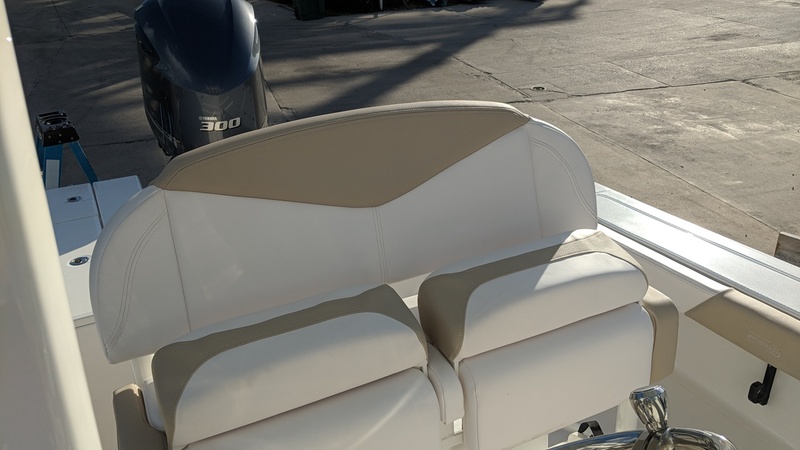 Ice blue exterior and ocean sand interior. 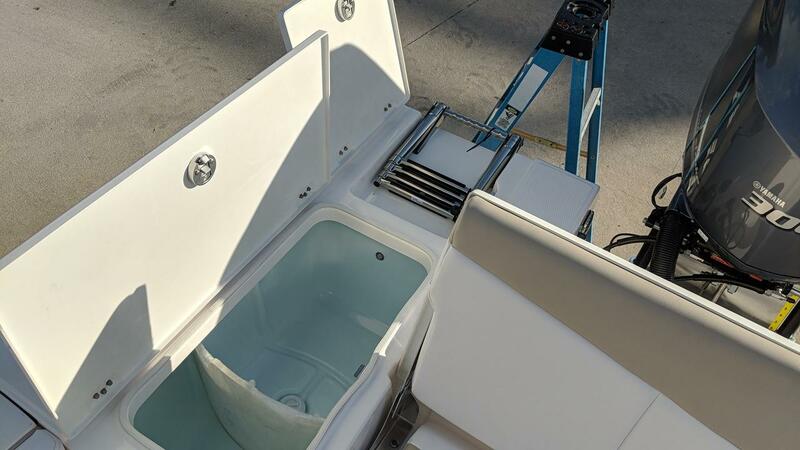 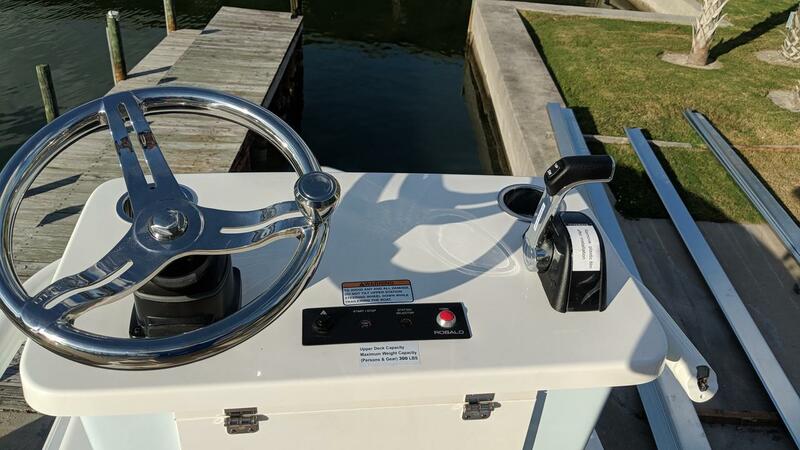 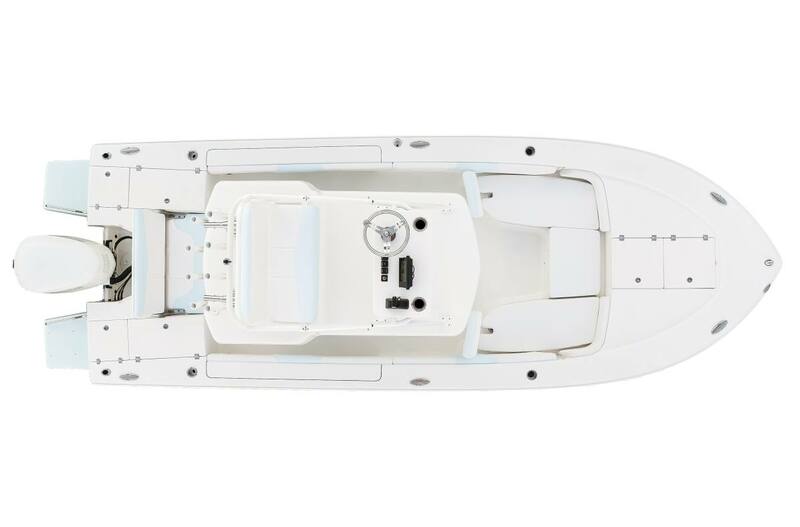 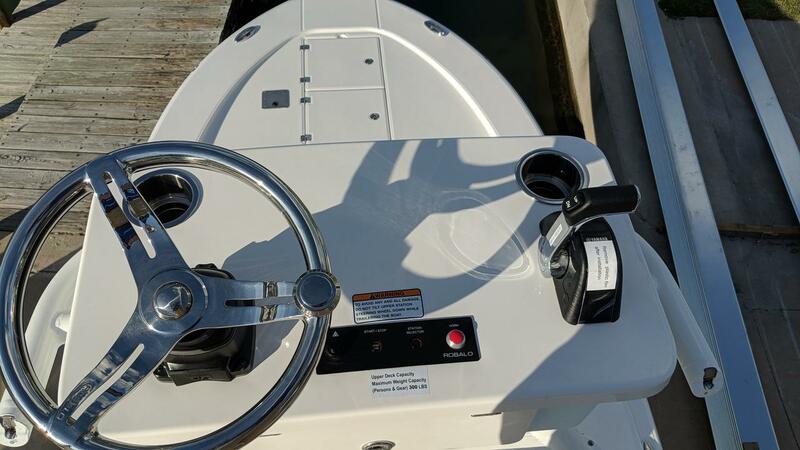 Features include: powdercoated upper station, dual battery setup, trim tabs w/ indicator, anchor, FM stereo w/ 4 speakers, porta potti, hydraulic jack plate, cup/rodholder, underwater lights, removable bow backrests, cockpit table w/ dedicated storage, bow filler cushion, freshwater shower, powdercoated dual flip bolster leaning post, starboard swim platform w/ ladder, EPS- electronic power steering, ss wheel w/ soft grip, bow fishing chair w/ dedicated storage and powdercoated leaning post footrest! 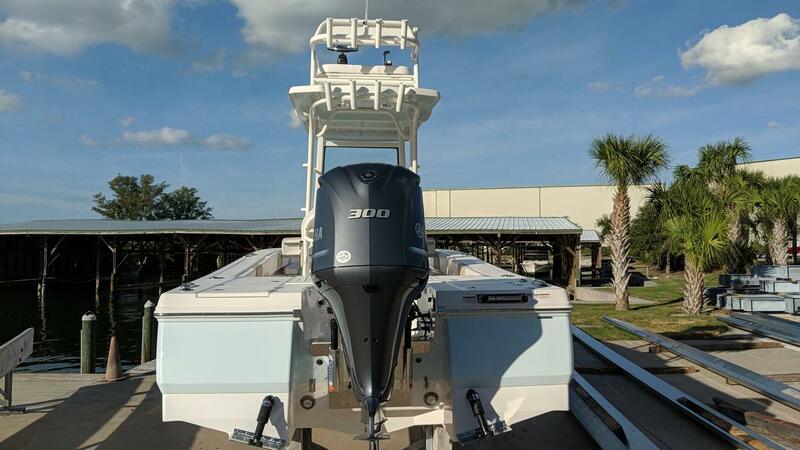 Price includes trailer! 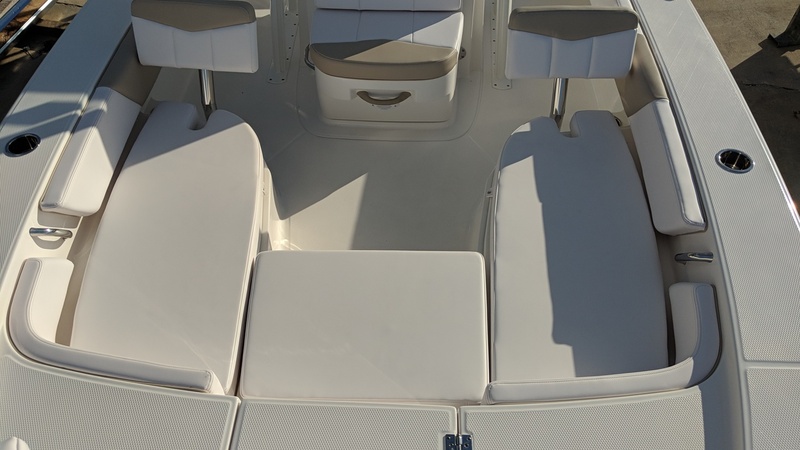 Have you ever wished you had a bird's‐eye view of the water beyond your boat? 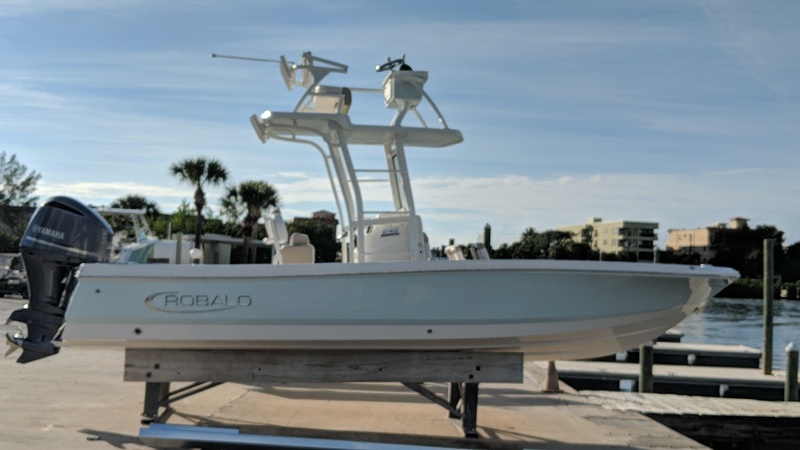 You don't need wings… just the help of the Robalo 246 Cayman Sky Deck. 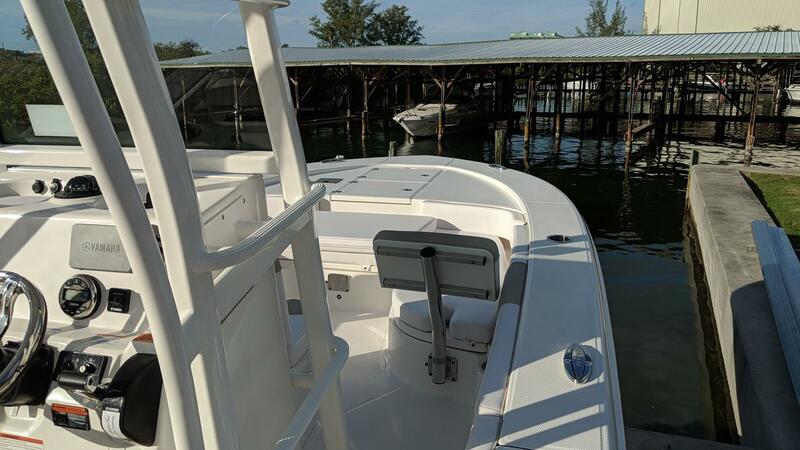 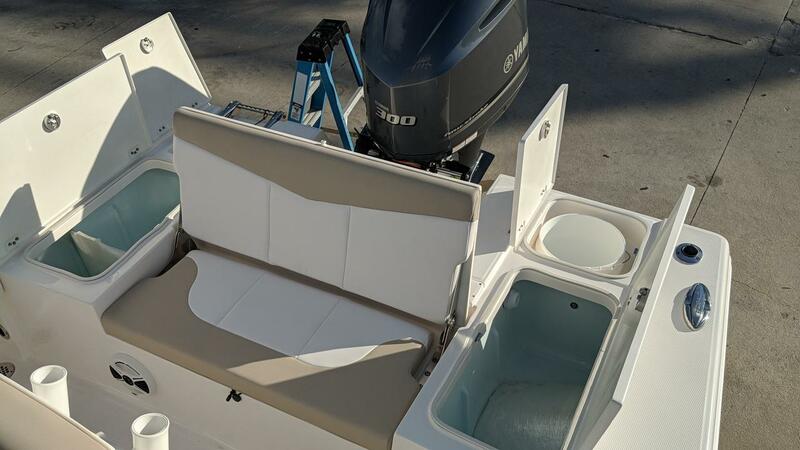 Step aboard and you will find an expertly‐crafted second station that gives you more control than ever before, extending your vantage point and taking your angling adventure to new heights—literally. 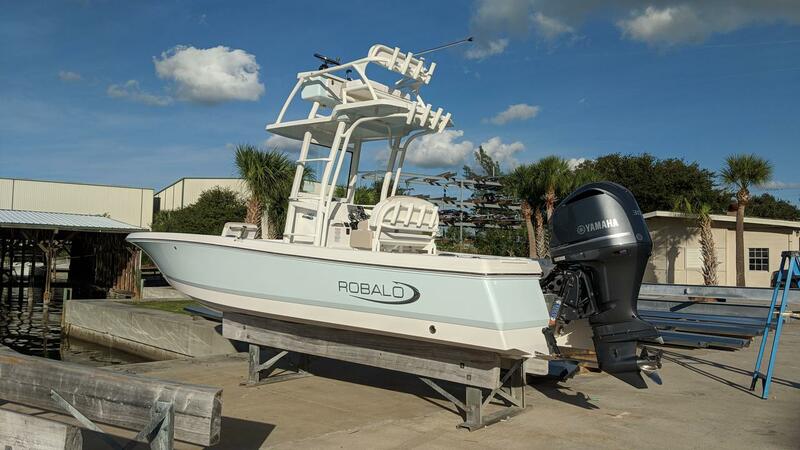 The 246 builds upon the tradition of Robalo's go‐anywhere Caymans, a family of bay boats that are just as comfortable on offshore adventures as they are at shallow nooks and crannies by the coast. 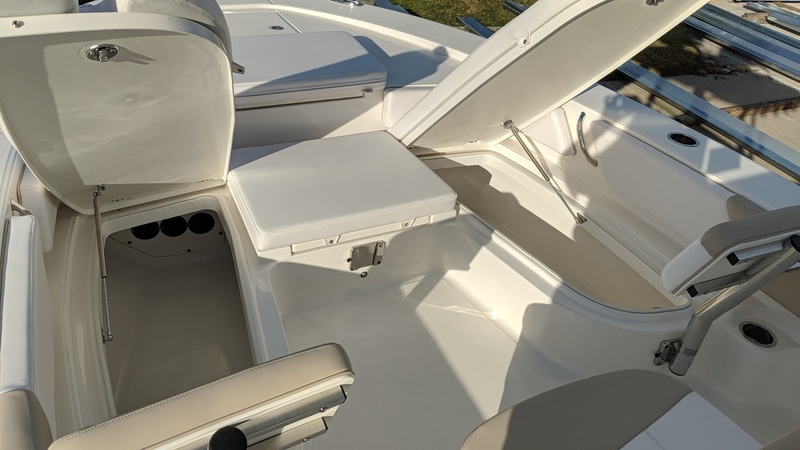 Ample deck space gives you room to welcome the whole crew on board, a perk that the addition of the Sky Deck only amplifies. 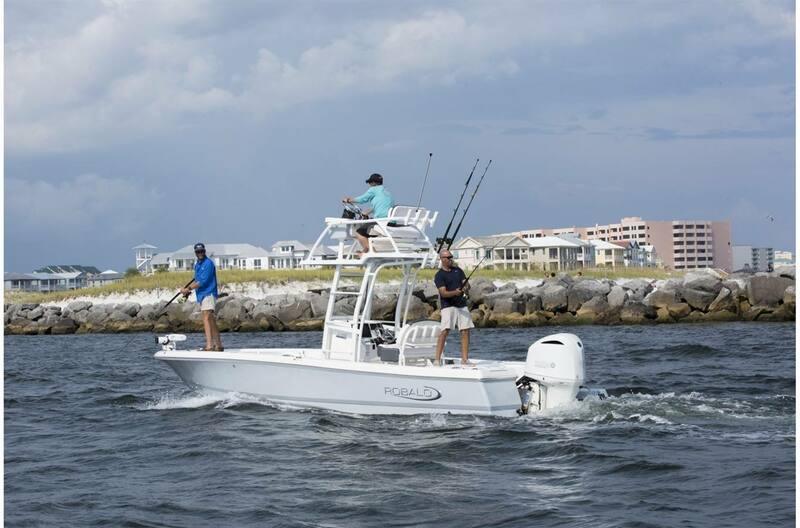 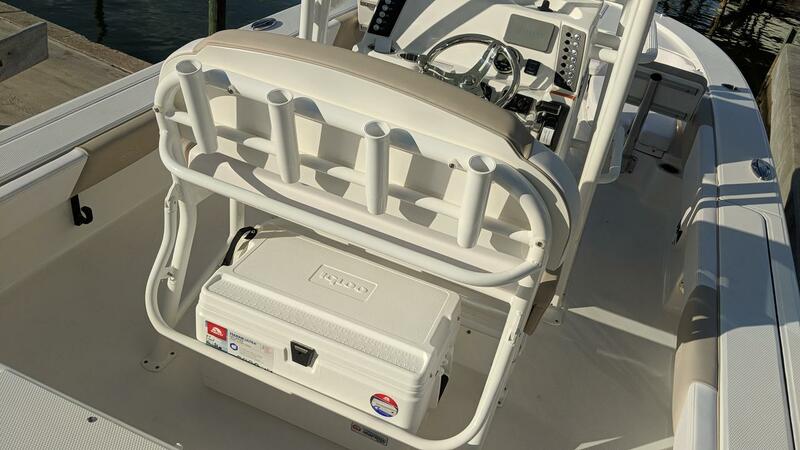 Built‐in storage for everything from rods to live bait to tackle is abundant, so you're never limited by the capacity of your ride. 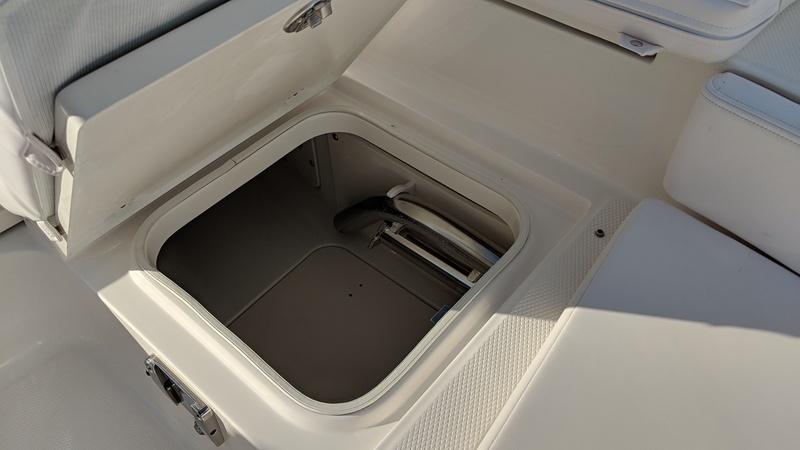 That convenience extends up to the second station, where stainless‐steel drink holders make it easy for you to kick back and stay perched there however long you like. 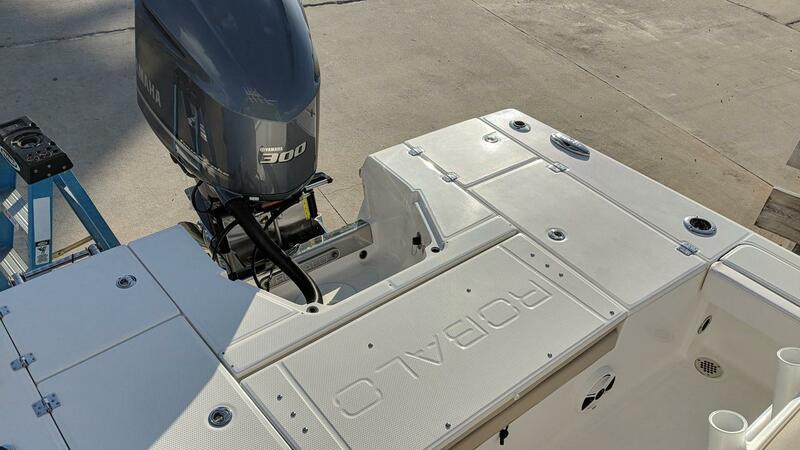 On the 246 Cayman Sky Deck, you never have to rush… but when you want to, you can count on a ride that's quick and smoother than ever.